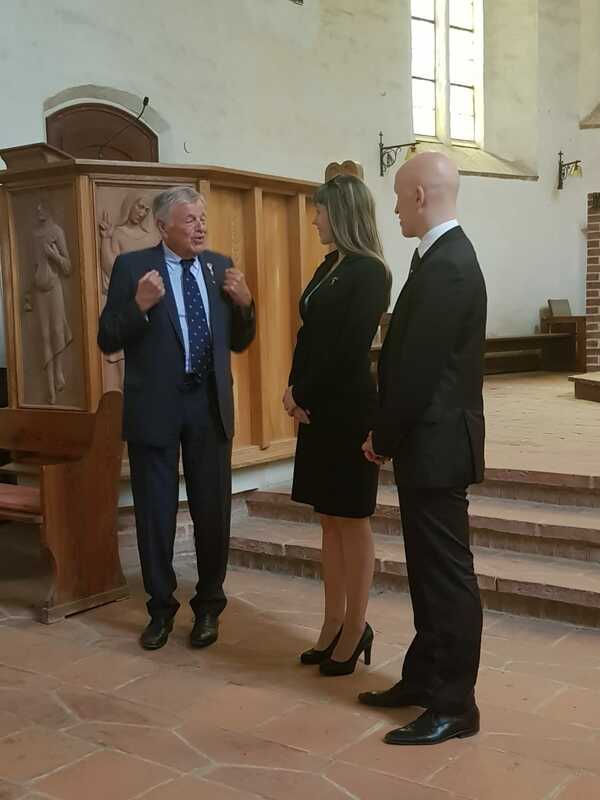 After four months, we would like to use the opportunity to remember the fantastic event to exchange honors of friendship to renew an old trust between the Royal House of Montenegro and the Grand Ducal House of Mecklenburg-Strelitz. The meeting between the two families took place from the 31st of July until the 2rd of August 2018. 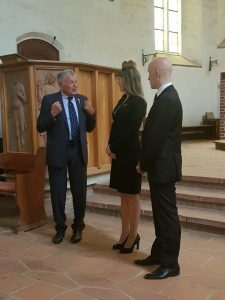 The date was chosen to combine the occasion with the birthday of Her Highness Duchess Alice, the Duchess of Mecklenburg-Strelitz and the annual memoriam of the former members of the House of Mecklenburg-Strelitz, especially the former Head of the House, Duke Georg Alexander (1921-1996). The 31st of July was a perfect day to privately greet one another at the Hotel Schlossgarten in Neustrelitz. 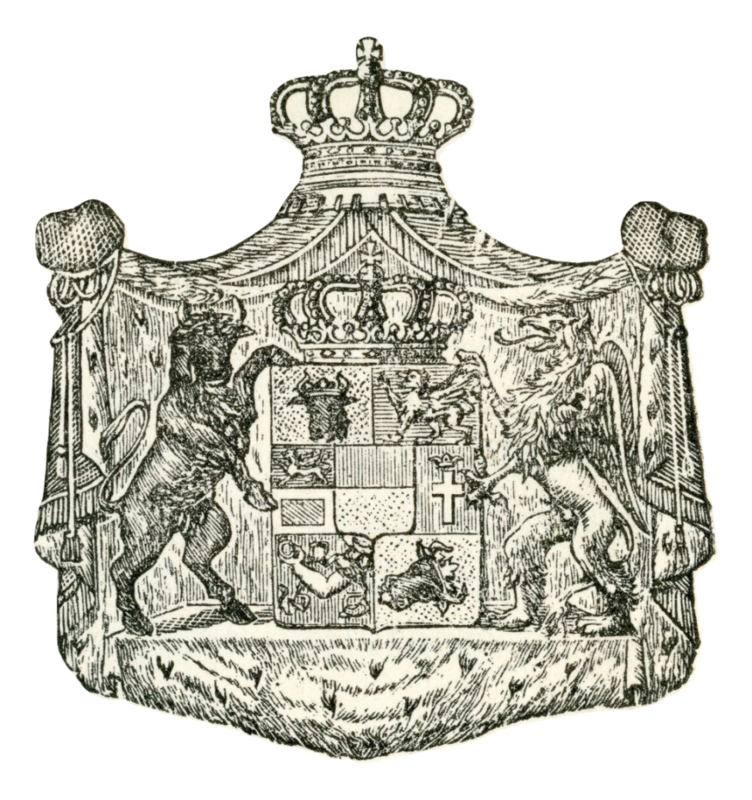 Later on, Duke Borwin of Mecklenburg gave a private tour around Neustrelitz, the former capital of Mecklenburg-Strelitz and Castle Hohenzieritz, the memorial place in Mecklenburg to remember Queen Luise of Prussia (born Duchess of Mecklenburg-Strelitz) to the Delegation of the Royal House of Montenegro. The day was slowly closed with a dinner hosted by the Duke to prelude the official visit of Crown Prince Nikola of Montenegro. On the 1st of August during the ceremony, the catholic priest, Father Evers highlighted the importance of “Orienting” oneself religiously, because one turns east towards the “Orient,” meaning for us to turn to the Holy Land of Israel. He further explained that this also underlines the importance for the Christians in Western Europe to come closer with our brothers and sisters in the East rather than to turn away. In the light of this, the ceremony of renewed friendship and remembrance of the dead displayed a beautiful example of celebrating Christianity together in peace, while overcoming political interests. 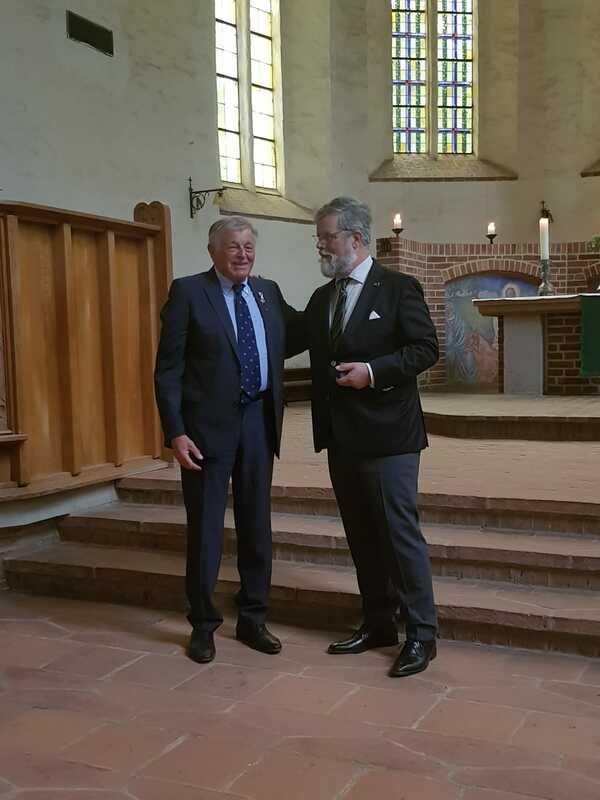 On that note, His Royal Highness Nikola Petrović-Njegoš, the Crown Prince of Montenegro was presented with the Grand Cross of the House Order of the Wendish Crown by Duke Borwin, the current head of the House of Mecklenburg-Strelitz. Additionally, he received the same honors for his children, Their Royal Highnesses the Hereditary Prince Boris and Princess Altinaï. Their Excellencies Count Prof. Gr. Cr. 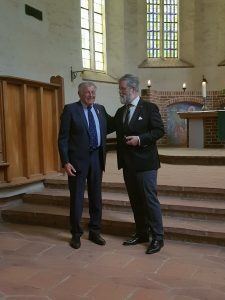 Giuseppe Tedeschi and the Noble Alessio Butti were awarded the rank Grand Commander of the Wendish Crown, while Mr. Maurizio Napoli and Mr. Alvise Figa’ Talamanca were given the rank Knight of the House Order. Vice versa, Prince Nikola honored Their Highnesses the Duke and the Duchess of Mecklenburg-Strelitz, Duke Borwin and Duchess Alice with the Order of Saint Peter and the Grand Cross of the Order of Prince Danilo of Montenegro. Moreover, Their Highnesses the Hereditary Duke Alexander, Duchess Irene, Duchess Olga and Duke Michael were presented with the Grand Cross of the Order of Prince Danilo, while the Delegate Dr Rajko Lippert was awarded Grand Commander of the Order of Prince Danilo. In the evening, Prince Nikola also hosted a dinner to celebrate in this small circle the new friendship. On the next day, the birthday of the Duchess was celebrated together with the Delegation of the Royal House of Montenegro. 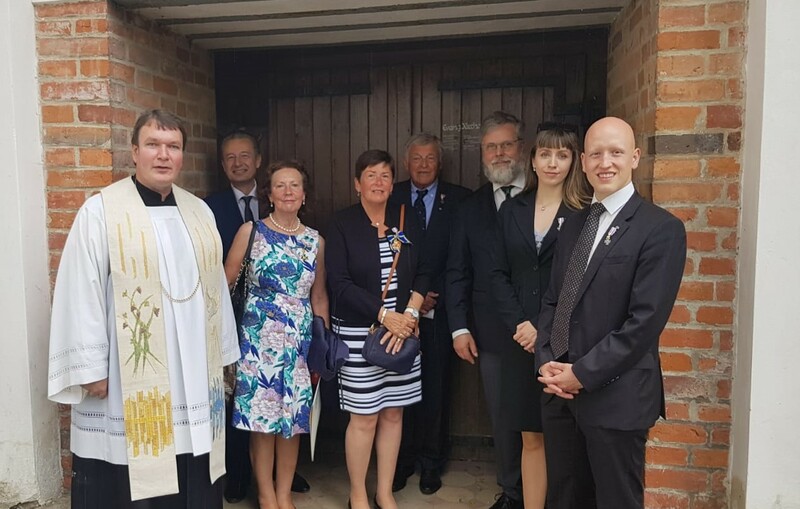 The two families shared their opinions to further deepen their relationship by organising a visit to the Holy See and pay their respect to the former Crown Prince Danilo and his wife Princess Jutta of Montenegro (born Duchess of Mecklenburg-Strelitz), who are buried in Rome. Both Houses are already looking forward to the realisation of this next step.